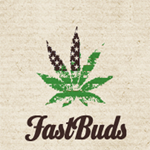 Fast Buds - Stardawg. Free US delivery. Stardawg received its name for the crystallized and bright trichomes that make this variety dazzle. It's a hybrid cross between Chemdawg 4 and Tres Dawg. Our version of the Stardawg strain reaches THC levels of 22% with low levels of CBD, so prepare yourself for a very mindful journey, followed by hours of body euphoria. Stardawg packs on bud sites in one of two ways. We've seen dense, bushy plants and tree-like ones that like to stretch. We highly recommend that you give the plant enough room for its growth whether its vertical or horizontal.